Your personal computer needs to be upbeat to continue serving you well. A slow computer is not only stressful to work with but also result in wastage of time and other resources. To most people, the only solution to a slow PC is purchasing a new laptop. Junk files and viruses are the two primary causes of a slow computer. 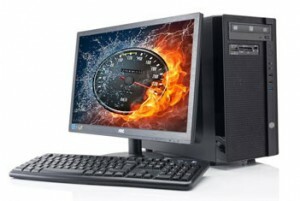 Luckily, there are some speedup tools that you can use to today to boost Windows performance. Here are the top four Windows speedup tools that you should consider using. CC Cleaner has so far garnered more than two billion downloads since its inception in 2013. According to a post on File Hippo, it enhances Windows speed by removing cookies, temporary files, and other clutter that works off the operating system unnecessarily. The free hard disc space helps to not only improve performance but also boost the security. System Mechanic offers multiple features all under one roof. One of the primary attributes that give it a higher cutting edge is that it comes with 50 tools that work together to clean up the hard disk thereby boosting the speed of your Windows. It also checks the registry for issues and resolves them, defragment the hard drive, and optimize Internet and system settings. Advanced SystemCare is among the new Windows speedup tools in the market using the one-click approach. The software is engineered to achieve this aim by cleaning up registry entries, leftovers, and junk files. It also goes an extra mile to check all system resources for any issues as well as the internet connections to improve your browsing experience. The interface has a performance monitor that you can use to know various parameters associated with the hard drive such as CPU, RAM, and GPU. It also comes with a FaceID that secretly takes a photo of any intruder who secretly accesses your computer. As reviewed on File Hippo, Glary Utilities is a free windows cleaner that is easy to use and effective in enhancing the speed of your computer. Once you download the software, you get 20 system utilities that you can use to customize your scans. Other bonus features that you will get include Spyware Remover, shortcut fixer, start-up manager, and Windows Boot Time Monitor that evaluates the amount of time that Windows take to start-up. Download any of these Windows speedup tools to take full advantage of Windows resources. Be sure to download them from reputed sites to avoid downloading malware or spyware.